NATURAL: Magnesium and six synergistic minerals are delivered directly to the site of absorption in the small intestines. SAFE: You take less but get more because all the magnesium you take gets absorbed. A large percentage of magnesium from commonly used magnesium chelates and salts, is not absorbed. Unabsorbed magnesium interferes with absorption of other vital nutrients and adversely affects bowel microorganisms. ESSENTIAL: Unlike typical magnesium supplements, absorption is not dependent on adequate stomach acid, which is insufficient in a large percentage of the population, especially in those over 50. EFFECTIVE: Unlike typical magnesium supplements, magnesium absorption is not compromised by food, calcium or other supplements; nor is its absorption diminished by gut inflammation/leaky gut. NECESSARY: Slow intestinal transit is necessary for magnesium absorption. While magnesium from commonly used magnesium products significantly increases transit time, magnesium from Magnesium Plus does not increase transit time in intestines. POTENT: Includes 6 synergistic minerals found in cells — calcium, zinc, copper, chromium, manganese and molybdenum — all essential for magnesium utilization. 99% of magnesium is in cells. PREFERRED: Delivers a magnesium to calcium ratio of 2:1, favoring calcium deposition in bone rather than in arteries, including coronaries, as plaque. Seven years of hand-milking Butterscotch (an old retired Guernsey dairy cow) inspired this Health Equations formula. 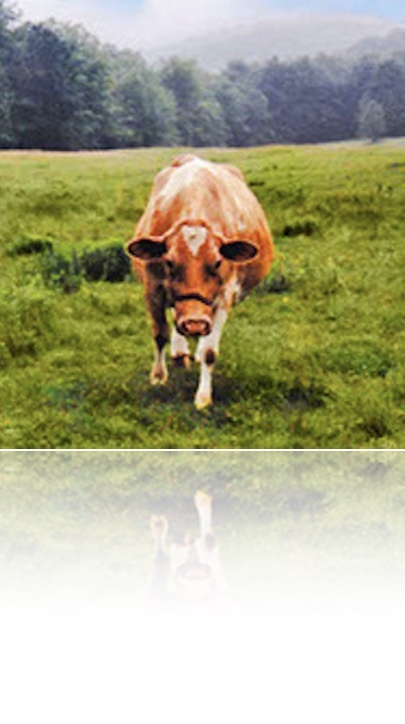 Magnesium Plus delivers minerals the same way raw (unpasteurized) milk does. Take less, absorb more and get the six minerals needed to utilize magnesium in cells.